Beyond is the debut feature film directed by award wining Swedish actress Pernilla August, based on a novel by Susana Alakoski. It premiered in the International Critic's Week section of the 2010 Venice International Film Festival where it received the SNCCI Award. It is also Sweden's official submission to the 84th Academy Awards for Best Foreign Language Film. 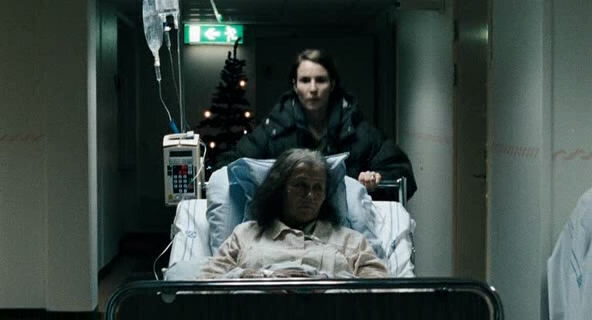 The film begins in present day Sweden and follows Leena (Noomi Rapace, the original Girl with a Dragon Tattoo), living a happy life with her husband Johan (real life husband Ola Rapace) and two young daughters. One morning, Leena receives a phone call from her estranged mother who is on her deathbed and wants to see her one last time. Haunted by memories of a past she tried to bury away, Leena is reluctant, but under pressure from her husband, she decides to go and face the demons of her childhood. Something I've noticed that Scandinavian family dramas always seem to do well is perfectly capture the emotions of genuine situations, and this film is no different. In the film's simple opening scene, using intimate handheld camerawork and wonderful little details, August is able to instantly introduce us to the family having a sweet and happy moment; and then just as quickly she turns the mood into an anxious and tension filled moment of concern when the telephone call arrives. 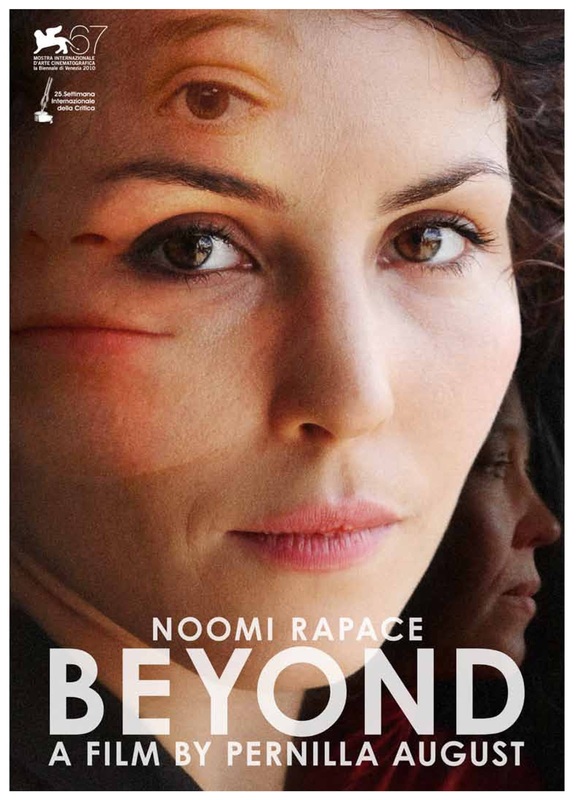 Most surprising is Noomi Rapace's performance, who I wasn't particularly impressed with in the Millennium Trilogy, but she proves it was the script and not her acting ability at fault as she shines in this role with great dramatic depth as a woman who survived a rough past and almost had it completely behind her, but now suddenly has to face it all over again. The film switches back and forth between Leena in the present and flashbacks of her memories of the past. Young Leena, played equally well by Tehilla Blad who as it turns out also played Rapace's younger counterpart in the Millennium Trilogy, is an aspiring competitive swimmer and the daughter of Finnish parents Aili (Outi Mäenpää) and Kimmo (Ville Virtanen). As the film progresses, we witness her seemingly happy family slowly torn apart by her parents alcoholism and physical abuse. Leena's memories center around the guilt she feels for being unable to protect her much younger brother from the terrible situation. Eventually the events of the past and present come together in a powerful emotional climax handled effectively by director and cast. It's an impressive first effort from Pernilla August, who shows great skill and confidence behind the camera. The only problem is it feels like I've been told this story a hundred times before, and no matter how well written, acted, and directed it is, it just isn't original enough to leave a lasting impression. It's already been nominated and won a film festival award for best actress and best director. Now it's in the Oscars for Sweden's official foreign film entry. It's incredible. 'scar opener' that's a good phrase I'm saving for later. It is a worthwhile film, but I think it has pretty slim chances for an Oscar nomination. That's kinda what I was thinking there. "This story again". I call them scar openers. I'll give it a watch if it makes it through the Oscar phase, though. I love Scandinavian Cinema! Looks like a family drama that is worth the look! Thanx for the review I did not heard about it before! Ooh Another one that has been on my radar but I have been unable to see, you need to share your secrets B!! It's a grim sounding movie...maybe not!